Hello everyone. I’m so excited that you’re joining me here. I have a very special treat for you. I am here with the amazing Tammy Frank. Welcome Tammy. I was really curious about Tammy and how her career of being a nurse, being a health coach, a highly sensitive person, a mom (and so many different layers and levels of experience within her career and in her life), how that ties into being an Empath. As you know, so many of the things I bring you are about being a highly sensitive person, being an Empath and how to empower your world as an empower your life and so I have been friends with Tammy and I’ve known tammy for years and I think she’s amazing and of courses I wanted to invite here to share some of her wisdom with all of you. So without any more of me gabbing and chatting about how much I adore Tammy, I want to open this up to Tammy and have her share with you a little bit more about her journey. Tammy, tell us a little bit more about you, how you got here, what was your journey here, and then please tell us who you help (we would love to hear). So I am a registered nurse and I became a nurse when I was nineteen. Actually. I went to community college and I was young for my graduating high school class, so I was working as a nurse at 19, which is kind of crazy when I think about it. And then I nursed. I did a lot of intense care unit nursing, critical care, open heart and I loved it. I was a bit of an adrenaline junkie and it kept my brain busy and I just loved helping people at a deeper level and really having a big impact in supporting families. I loved working with the families. I just always had that innate need to help others. So being a nurse helped me fulfill that, that part of my soul that was craving that. We moved to a new city probably five years ago and a year or two after moving I actually took a job as a school nurse, which was, it’s different. I had different jobs between the ICU and the school nursing job, but it was a lot slower pace and my good friend of mine who’s a functional medicine physician told me about a health coaching program. So I took that course and I loved it. It opened my eyes up to so much more of the eastern side of medicine versus the western that I knew for so many years and it kind of brought them all together for me and learning more about how to help people emotionally and physically with food spiritually, their careers or relationships that really helped heal some of my own inner pain that I had from my childhood. So it really set me off on a healing journey and it opened my eyes up to what other people are going through at a deeper level and how emotional pain can affect your physical body. 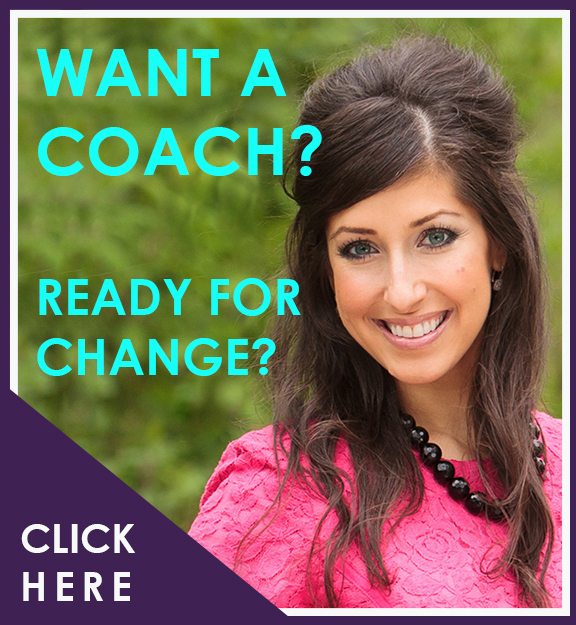 So that brought me to present day working as a health coach. So I do both half and half and I really enjoy the health coaching just a lot more. It’s kind of like I’m back in the ICU in helping people at a deeper level again. I share that with you. I like helping the really intense situations, people who were in crisis or trauma and so I share that with you too and it feels like the results are so big when you help people that are in such trauma, get out of that. It’s not for everybody. Not everybody likes that level of intensity. So I give you credit for that. Within your health coaching practice. So I know right now you’re, you’re being a nurse at a school, so I know who you help there. Probably not just kids. Probably the staff too. That’s another conversation… but what I’m curious about is within your health coach and on, who do you help with in that? In school they said you need to find your needs, you need to find your niche. Like what do I want to focus on women’s health? What do I want to be, you know, how people with autoimmune disease. Well, I really, I never really knew what my niche is, but really my niches I found out that’s when I discovered that I’m an impact through my health coaching course. That kind of opened my eyes up to different healers, different healing modalities and I didn’t realize I was an Empath probably until like two or three years ago. I just thought I was more sensitive than most people and I called it my sensitive sally. I would kind of joke about it, but I thought people could feel everything I could feel, but they just don’t want it better, but I honestly thought people just were able to go whoosh. And I could not. I could, not. So many people don’t know their Empaths. They think everybody can feel all the feels. I did. I had an intuitive healer. Tell me, you’re an Empath. And I’m like, uh, who path? So she spelled it out for me. I Googled it. I read an amazing article I think on mind unleashed and it even like they listed 20 traits and I have an nineteen of them. Even as simple as the certain days of the week feel heavier than others to you. I totally have that and I thought you mean everybody doesn’t feel that way. I thought everybody felt that way. So do you feel like being an Empath has, and this is really why I was so curious to bring you on here and chat with me to everybody here because I’m curious about your experience being a nurse and an Empath because I think that that really sort of gives you a different perspective. You see things differently, feel things differently and so I’m curious, do you find that your experience has been different than other nurses who aren’t Empaths? Well, you know, I, I definitely think I notice things. I would watch my colleagues and go, why aren’t they picking, you know? And so when they would leave the room, I would go talk to the patient and go, are you OK? Or you know, and reassure and like follow-up to make sure that they could feel the anxiety or I could feel the tension. And honestly, there’s many times I would go into work and just have this heavy feeling and I’m like, why do I work here, why do I feel so heavy? You know? And I looking back now twenty years, I understand, I was, you know, people were in the hospital or anxious, they’re scared, they’re in pain and I think you kind of get hit with all that when you walk in the door and not even realize that’s what it is. So one of, one of the places that you were a nurse was in an intensive care unit, right? So for instance, me specifically, I used to kind of hold my breath before I went into a hospital. How did you go in day after day? What did you do to survive? How did you stay healthy physically in an environment that was so intense like that, with so many emotions and so many physical symptoms around you? Well, I don’t know how healthy it was really staying. I remember having a lot of muscle tension and pain. Like I had to go to physical therapy. I had big knots in my shoulders and I just, you know, I was probably like this all the time and just carried a lot of my shoulders. I didn’t even realize I was doing it. I just thought I had weak shoulders because my mom needed shoulder surgery too. I was trying to find a physical ailment to explain probably a lot of the emotions that I was picking up around me. But I will say being a nurse has always given me perspective. I’ve always been a little bit of a worrier, but since I’ve had my boys, I don’t worry as much because that just gives you a whole other perspective on the world too. Going to work, and if somebody who was critically ill, my worries for the day, we’re not worried for me anymore. It just, it always kind of, in a way, that grounded me because there was always somebody worse off than me. So all my worries and concerns were kind of like interesting. So yeah, it was very grounding for me, but yet I do know I had a lot of physical pain and when I look back at it I really think I was just absorbing more than I realized. So a lot of it sounds to me like a lot of your experiences throughout career and your personal life too. It sounds like, you know, because it, it teetered into your physical body and everything’s sort of led you to gaining awareness about what didn’t work, you know, and all of the systems. You have a really different perspective now. 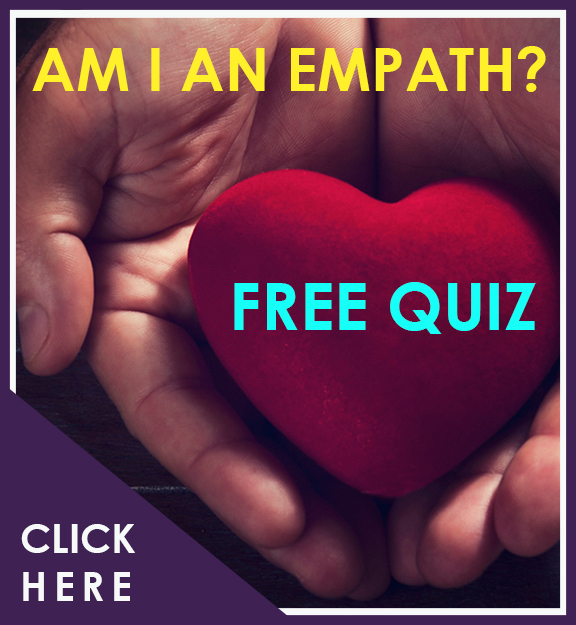 Now that you know that you’re an Empath and because you’re a health coach, right? 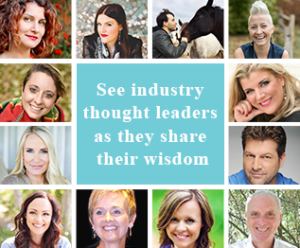 So how, how do you feel like being highly sensitive has helped your career helped your, it sort of sounds like that has led you to become a health coach in some ways. Yes, for sure. It’s, it’s like putting both worlds together because I can understand the western medicine, you know, if I have a client that has, you know, they have thyroid disease or any kind of medical issues, I can understand that piece of it. And then, you know, with my health coaching, because in nursing school they don’t teach you about nutrition, they teach about carbohydrates, fats and proteins, but you don’t really learn how nutrition can heal the body. So I gained so much knowledge from that and I can guide clients in that way as well. That’s amazing. I love that. So I remember when I was talking to you earlier when I told you I really wanted to get you on here to talk to you. I think that a lot of people who are Empaths are sometimes they get a bad rap as a hypochondriac. Even me, you know! OK, a lot of you who are listening comment below and tell us if the same has happened with you because what happens is highly sensitive people and Empath, we’re like emotional sponges were picking up on all the thoughts, feelings, emotions of everybody around us. And like you mentioned before, your shoulders were up and you thought, oh, well my mom needed surgery on this. So I might need surgery on this or something. You know, you mentally just try to, oh well this is a new problem. It’s probably, you know, you solidify it into your body as yours once you feel it. And so my question to you, and you’ve already told me you had that hypochondria to. I did as well. I felt everything went to every single doctor. Do you feel like a lot of people who come to you as a nurse or a lot of people who approach you, you know, for your health coaching, do you feel like their symptomatic because of their emotions because they’re awareness? What do you do when you see that hypochondriac kind of behavior? You know, I had one client who she didn’t realize she, hers was more of a food thing. So I kind of, the more she talked, I realized wow, she’s me. So I told her about, you know, I, I think you’re an Empath and does this resonate with you? And her eyes got big and recognition of yeah, and you know, had like this knee pain and this and that. So we talked about how, you know, changing maybe something in her diet can help with that, but just how you can carry that emotional weight somewhere within your body, whatever your weak spots might be anatomically. Expand on that a little bit because I think that’s so true. And just to add onto what people who see spirits tend to often be heavier people and they’re holding on to not always but they hold on to so much, right? Like in their body and they think it’s just because of food. So how do you know whether it’s the emotion part or the physical, like a thyroid. What do you do with that when you see people and do your intake? Right. Well, so I would write, well when you say people who see spirit, so a lot of reading I’ve done people who are very sensitive or earth angel are, you know, highly sensitive that way they say they carry weight is like a barrier. Like it’s a protective barrier. So to kind of discern, you know, is it an energetic issue or is it a physical issue is I would run to the men, they see probably a functional medicine physician who can do the appropriate labs to see OK, is there a t3 t4 working, you know, is it a thyroid issue and because they do more labs to get to the root cause of symptoms and issues. Like if they’ve truly make changes to lose weight and they’re exercising and they’re doing everything right but not seeing changes then maybe is it they need to go an energetic healer route or maybe do they need to see a functional medicine physician and change some food and maybe add some supplements to get them to where they want to go. Absolutely. That makes perfect sense. I didn’t even know what a functional medicine doctor was until recently actually. Which. So can you explain what that is? I know that you said that they get to the things, but can you sort of define it for those of you who are highly symptomatic and are doing all the exercising, the eating right things and nothing is changing. What is functional medicine doctor? So a functional medicine doctor really is…. So, my good friend Dr Sherry Brewers who introduced me to the Health coaching program and she was getting her functional and integrative medical degrees. So functional medicine doctors are physicians who are board certified to get to the root cause of your symptoms. So you come to her with rheumatoid arthritis, well generally there’s something to cause that. So just because it’s in your genetic code doesn’t mean you’re stuck with it. So we all have our genes or gene makeup, but sometimes are those genes get turned on. If you have rheumatoid arthritis, that gene can get turned on. Well there’s a way to turn it off too. So usually it’s an infection or stress or maybe a toxin in your environment. Mold is a big trigger so they figure out what turned on your gene that you don’t want turned on, and then how to turn it off. I love that because I think a lot of people don’t know what options they have when they’re highly sensitive. So you health coach and I approached you as someone who’s highly symptomatic, you know, what are some of the things that you talk to people about to help them. What are some of your immediate suggestions? Let’s say I come to you with, um, you know, more weight than I like and I am sensitive energetically to things and I’m feeling, you know, headaches and pains and problems, but there’s no real understanding of why… I didn’t hurt myself. I don’t have cause, so I’m coming to like “help me please and feeling everything, I’m uncomfortable and I don’t know what to do next”. Right, right. Well, I would definitely do an intake on, you know, what your day looks like, your food stressors. You could eat right and exercise and do all those things, but if your body is stressed, if you’re stressed out, it just, it just like puts a fork in it and you’re done kind of thing. So as a health coach, I look at the whole picture and see what’s out of whack. You know, are you unhappy in a relationship? Are you unhappy with your career? Is your spirituality? Do you want a deeper meaning with that? Do you, do you need help with your food or you know, do we need to switch things up with what you’re eating so your body’s getting the nutrients it needs to work at its best? So you know, I ask questions to kind of navigate and see where you’re at physically, emotionally, spiritually… and just mind body, Spirit. I love that. And it also seems to like you might be asking questions that get us to kind of think a little bit because we might not have thought about those things about where the deficits are, where it is that were, having gaps within our life, you know, so I love that you offer that. So one of the things that I really wanted to ask you about to just sort of shift gears just a little bit is I have been having a lot, a lot a lot of people come to me feeling that they’re struggling with comparing themselves to other people. This is just been something I’ve seen across the board. People are really struggling with comparison, feeling like they’re lacking, not good enough, not worthy because of all these people are putting themselves out there, perfect and healthy bodies and everything. So I wonder if you could speak to the viewers who are watching right now and tell us what do you suggest for people who are really getting caught up and comparing themselves to others? Well, I can. I’m completely guilty of that and fighting to keep myself off the rails from doing that, It’s social media. It’s so easy to see what Jen and Bob and Jane and everyone’s doing and you know, a lot of people just post their best pictures and their best selves and you know, we all have good and bad days. It’s great to honor the good days, like I love that comparison is the thief of joy essentially. So that’s what I try and remind myself is that is the thief of joy. And if I’m comparing myself to, let’s say even you, well I, I, I’m not, you like that, you know, we all have our own unique gifts and if we dim our light because we don’t think are shining as bright as somebody else then we are really starving somebody of our life and we shouldn’t do that. I love that… “comparison is the thief of joy”. There’s a quotable for all of you. Yeah, I think it is like Rumi Or. Yeah. It’s not my own. I’ve like, I’ve found that that was part of what. Yeah, it’s not my own. I read that somewhere. Yeah. It stuck and resonated with me. So I just, I kept it like, and actually I put “Be You” above my computer as a reminder. Be You… it’s OK. Yes. I really liked that one. I’ve seen her wall, not in person, but on Instagram. It’s so true that is such a gift to the world to be you. And, you know, I do the same thing. I have people in my life who, are more successful or have thinner bodies or whatever, like in my family, in my life, you know, but for me it’s like I always find the greatest joy when I’m being me, unapologetically. When I am willing to be my weird, wacky, wild self, you know, my hair is tall and I have people in my family who think I wear way too much makeup and I have my hair too tall and literally they will say things to me like I would really love to see you and a t-shirt and jeans is no makeup. And I’m like, that’s just not me. I actually enjoy being done up and presenting myself this way. I have a demonstrative like big personality and I’m not, you know, toning it down because that’s me. People will be attracted to you that you… to come into your world, to come into your business, to come into your life, to be a friend because of you being you. When you’re being something else, it robs you of your joy, and people are repelled by it. You wonder why you’re not doing well in business… It’s because you’re not being. Do you agree, Tammy? Oh. Totally. If I fall down the rabbit hole of comparing. I just started, I started doing gratitudes… like what I’m grateful for in my life about myself. And then it totally just gets you back on track. Yeah, absolutely. Again, it’s sort of a theme within your world I’m hearing is very much about “perspective”… to get focused on what are grateful for puts things in perspective and your mind shifts for you. So you’ve figured out what works for you and like that. Yes. Yeah. And that’s what I like to do with my clients too, because they’ll share things that bother them or you know, my one client with the food issue, she’s like, well I knew I just knew this would be an issue for me all my life. And I said, well, what if it isn’t an issue for your all your life? What have you just shift that thinking and she, you know, that was the light bulb for her. Or if she was like, yeah, why did I put that on me? And I go, we all do those things, but the amazing thing is we have the ability to shift it. Always, always. It’s so true. Yes, a different life as a choice away, and our choices are absolutely the most powerful things in our world. We make a choice and it creates more possibilities. It’s not the other way around. A lot of us think that we, we’ll suddenly have more possibilities in front of us and then it’ll give us choice, but it’s the opposite. You’ve got to make a choice and then the possibilities will show up. So for her to make a choice to think a different way, allowed her to see all the possibilities that she had with her body. That’s so cool. A big theme I always really loved discussing with anybody that I’m interviewing is thriving in your life. You know, another word for it is sort of empowerment, right? But thriving is so great. So I’m wondering if you would be willing to tell us what it means for you to thrive in your life and if you have any suggestions for the viewers so they too can thrive. Well, I think to find your whatever, your happy places because if you feel happy your life is just more enjoyable. Right? So what makes you happy? What can you bring into your life that makes you more happy? Like for me, I love to decorate and be creative so I kind of put that on the backburner. Kids, you know, kids and we’re busy at the busy young stage and I just didn’t do those things. And then I started to miss that. So pulling in things that bring you joy, whatever, if it’s reading or decorating or scrap booking or exercising, being a whatever, those things are, bring that in because I feel like it de-stresses you and you, you’re more balanced. Absolutely. Bring things in that bring you joy. Right? Pull them in. Just do those things. That’s what I do that too. I sometimes have to sort of remind myself what brings me joy, because you get busy in your life when you sort of forget some of the things. I know, I can say this because you’ve posted on social media about it, like salt bags, you know, sea salt baths are not for you and everything. Um, you know, so for me, same thing, you know, it’s like I love, love, love reading too, and I have to remember what are those things that really bring me joy and then incorporate them into my world again to really thrive because you’re getting that fulfillment that you really require and need in your life. Self-care. For sure Self-care… because you really, I think women especially are guilty of not taking care of ourselves. We put everybody else first. So if we take care of ourselves, then we make sure we’re happy is really going to have a ripple effect for those around us. We just have to remind ourselves that it’s OK and no guilt. Yes, guilt is never real. Everyone, will talk about that another time. I want to know what is your best piece of advice for all these sensitive souls that are struggling and want to be happier and healthier? Wow. My best piece of advice, it would just be to be your authentic self. Just be your authentic, just honor you and what you believe in, what you love to do, and even what you, you know, maybe what you want to eat for your body. Maybe it’s a bad choice today, but don’t dwell on that. Just move on from it and just honor who you are. Absolutely. I couldn’t agree more. So I would love for you to share with everyone and share with the listeners how can they get in touch with you and how can they learn more about you and your work. So definitely tell us your website. My website is www.urbansoulfood.com So you can find me there and there’s links to my Facebook and Instagram feeds where I try to, pass along positive affirmations and maybe what I’m eating or I’m just daily life stuff too. Yeah. Daily encouragement and support and motivation. So absolutely go to her website www.urbansoulfood.com, right? Yep. Yep. And I have a free consult I offer too. So there’s a little questionnaire that kind of what we were talking about earlier kind of gets you thinking about, you know, if you’re coming to me thinking you want to work with the health coach and he makes you think deeper into maybe some of the causes and what’s going on with you. That’s perfect. All right, so make sure you check Tammy out, and I’m going to include a link right below this video or in the description of the video based on depending on where you’re watching this video. So thank you so much for joining us and hope you enjoy this. And please, please, please comment both Tammy and I would be looking at the comments and we both will be replying to you so we hope you’ll get involved in the conversation and chat with us. Send us your personal questions. If you had something that really struck a chord with you, within this video or it, it really brought up something you’re curious about, wright it below and we’ll respond and I’m sure it would be a contribution to everyone else who’s looking too. That would be amazing. It’d be great to hear. Absolutely. OK, well thank you. Thank you everyone who look forward to chatting with you again soon. Have a good night.